But as the blog is ‘owned’ in Swindon and can be about Swindon eateries and drinkeries I reckon it merits a slot on Born again Swindonian. So below is some information from Thomas about his new blog. He’s absolutely right that great food and drink doesn’t necessarily have to be fine dining. That very sentiment is the ethos behind Eggelicious and E2. Indeed, painted on the wall in E2 is a quote that sums up this very notion: “You don’t need a silver fork to eat good food.” (Paul Prudhomme) And, in the case of E2 and Eggelicious, never was a truer word spoken. ‘Bites & Bottles is a brand new blog dedicated to everything food and drink. Great food and drink might come from fine dining or out the side of a van, it doesn’t need to have a label or price tag, what it does need to do is to pass the lips and deliver amazing flavours that you won’t forget in a hurry. Greetings listeners. 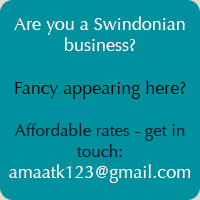 Here we are with another Swindon in Business post. 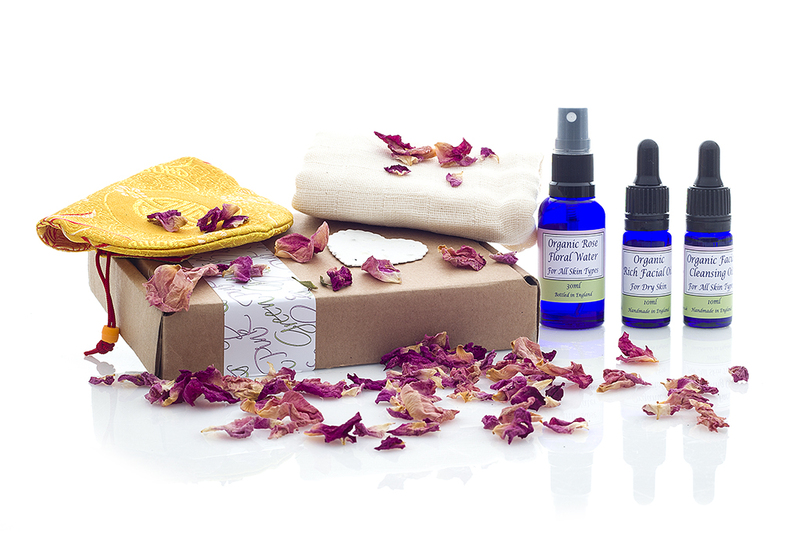 We recently had one from Carol Alpin, founder and owner of the Pink & Green range of organic skin care products. Now, in a natural link to that post, we have a post about Catherine Attewell and her business brand Catherine Jay. Like me, Catherine is a product of Outset Swindon but we actually met independently of Outset at another business networking group. Catherine made for me a pair of fab earrings to go with a necklace I already had. And I truly absolutely love them and wear them loads so I can well believe that when she was making and selling earrings in her student days they proved to be popular. Catherine is co-operating with Carol Alpin of Pink & Green to showcase their products together at The Works hair salon in Redhouse. Like Catherine, I too am a delighted user of the Pink & Green organic skin care products. Catherine Jay was created in 2014 by designer/owner Catherine who, having made and sold jewellery locally for several years, had a desire to create a beautiful, quality handmade jewellery brand. Back in 2011 and feeling the need to make some life changes, Catherine worked with a life coach – a process that was instrumental in helping her to identify those aspects that she most connected with – one of which was her passion for jewellery making. In recent years Catherine made and sold her jewellery in and around Swindon at craft fairs, local events, the Outlet Centre and the West Swindon shopping centre. Her designs were popular and she recognised that there was a market for elegant, well made jewellery for ladies who appreciate something unique and the polar opposite of mass-produced high street products – something made by hand with loving care and attention. In November 2014, Catherine committed herself to building her Catherine Jay jewellery brand by holding a formal launch event at Stanton House Hotel. Catherine worked hard to make the event special. It certainly showcased her work beautifully as these photographs show I think. As well as some very nice canapés and a glass of fizz we were treated to luscious jewellery themed cupcakes – or buns as I prefer to call them – from the kitchen of Little Miss Cakemaker. The Catherine Jay range includes bridal, everyday and gift pieces, and she is going to expand to offer further designs and ranges during 2015. Pink & Green came into being in April 2014 when holistic therapist Carol Aplin, from Swindon in Wiltshire, UK, decided to create a range of natural, organic oil-based skin care products. Carol had been an holistic therapist for seven years when she identified that many of her clients were becoming increasingly stress. A stress which led to a physical effect on their skin. Some years earlier she’d learned how to formulate skin care products when she completed a course on using natural ingredients for the skin and body. At that time she toyed with the idea of creating her own skin care brand but didn’t take it any further at that stage. At the beginning of 2014 she began running workshops showing people how to enjoy the benefits of essential oils and carrier oils. She identified the fact that many people simply didn’t know plants had benefits for the skin – something Carol had known and taken for granted throughout her life. Carol also realised that people didn’t understand that oils can be used to clean your face nor that there are lots of chemicals and alcohols in facial cleansing which strips the skin and can actually lead to more skin problems. Natural oils cleanse the skin and provide balance. So, in 2014, she came up with the idea of providing high quality, ethical, natural and organic skin care products by post. Overnight the idea for Pink & Green came into being. Pink was chosen to represent women and green for the environment. Carol then conducted extensive market research including surveying women, creating focus groups and sending out samples for people to try the products and test the look and feel of the brand Pink & Green. It was officially launched in November 2014. Today, the products on offer include a range of five facial oils suitable for most skin types, a rose floral water for toning and refreshing the skin and the hair, and a peach kernel oil cleanser. Currently Carol is researching and preparing new body elixirs and bath oils for launch in March 2015. Later in the year she will be launching an eye serum and hand and foot oils. The current best seller is the peach kernel oil cleanser. Many customers have found that this oil quickly makes their skin feel smoother, more plumped and radiant. It removes the tightness which can occur when using chemicals on a daily basis. The raw ingredients for Pink & Green’s product range come from UK-based wholesalers certified by the Soil Association as being organic in their practices. The ethics of the supply chain is important to this brand – suppliers must care about the environment, their people and their products. Behind the business today are Carol Aplin and her partner Steve Wells. Carol is the creator and founder of the business concentrating on the marketing and development of the products. Steve manages the day-to-day production and IT support. Carol has recently collaborated with another Outset Swindon client, Catherine Attewell who is the power behind the Catherine Jay brand of artisanal jewellery – and there will be a blog post about her business soon. They’ve been working together to increase awareness of their brands locally and to support each other as budding entrepreneurs. They currently have a display of some of their products in The Works hair salon at Redhouse in Swindon. I’m currently trying Carol’s products and can happily vouch for them. And I’m the proud owner of a fab pair of bespoke earrings designed and made by Catherine that I totally love and wear loads.